And without a doubt we will find the origins of Shamanism and mysticism lie here, however, in a way that is tied to practicality and survival. When a human goes on the hunt he enters an environment in which every species of animal is managing their presence and awareness that suits their own needs, leading to a physical and psychological contest that is carried out with an intensity that is rarely experienced by humans in the modern world. In order to explore the ways humans have managed and utilized their presence and awareness in the environment we will go through a generic hunting scenario. We can imagine three human hunters. Our first human hunter would be one who hunts with a spear and, of course, it could be said that we were not humans until we hunted with the spear. Amazingly, there are a few people in the world that are still using this technology. Our next hunter would be from the great age of archery with all the human culture and traditions that we find in it. And then, of course, there is the age of firearms with all its power and complexity that this fascinating age provides. As they go little farther he comes across a piece of ground that makes for a clear and distinctive print and he can tell that the tracks are fresh and from a deer. Instantly he freezes, hoping he is not in awareness of the deer; and while standing perfectly still he listens and looks carefully everywhere, extending his awareness as far out as he possibly can. And then, he carefully and deliberately takes on the persona of the deer. No doubt this is the origin of what has become known as shape shifting; however, this is not like some Hollywood special effects but rather a real and valuable skill that all human hunters would have. So now, in the persona of the deer, he mentally starts walking up the canyon, trying to stop and listen as would a deer, trying to visualize in his mind what the deer would see and experience in this canyon. Then, after learning what he can from this experience, the human hunter once again takes on his own persona and starts up the canyon, doing everything he can to minimize his presence and maximize his awareness (or, perhaps a more poetic way of understanding this is that our human hunter is trying to become an awareness without a presence (- a ghost, a spirit). Those animals that are hunted know this, and know it well. We find that through hunting in the human way one learns the ways of other animals and learns to detect their presence and appreciate and understand their awareness. Now let us make use of our understanding and awareness to go a little deeper into this hunting scenario. 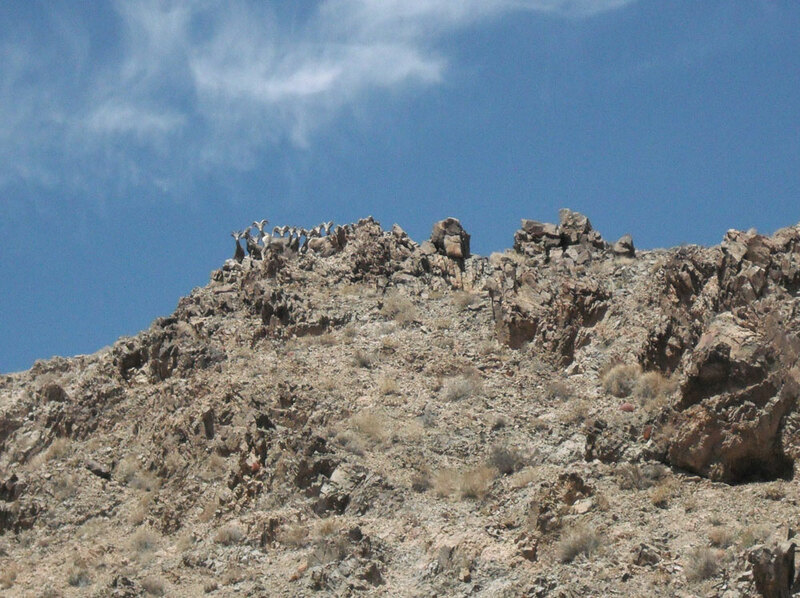 A hunter moved through the environment taking into account the prescence and awareness of all animals from a bighorn sheep to a lizard. Then he must be able to a valuate his presence in the environment and understand the extent and intricacies of his awareness. Now when our hunter comes across a set of tracks. First, he has to be sure of their identity and then how long ago they were they made. By the very fact that they exist he knows that a deer walked through here in the past. But our human hunter is also able to detect how far in the past this happened and then understand that his own tracks now intersect the tracks of the deer. Of course, this is the past and present coming together, and the tracks show this symbolically From this our human hunter can conceive of events that may happen in the future. In this we see that our understanding of tracks, symbolism, and time are a form of human awareness. Now our next subject in our hunting scenario, one might call animal psychology. However, I would consider this a misnomer, for this subject is far more complex because it includes the psychology of both the hunter and the hunted. Then it also includes the environment. In using this scenario, our human hunter has to take on the persona of the deer as accurately as he possibly can in order to facilitate killing the deer. Or perhaps a more chilling way to put this is that the killer has to take on the identity of the victim in order to victimize it. This, of course, is fertile ground for all manner of uniquely human thoughts. Such as empathy for the victim art and rituals. However, in order to do this a hunter must have both knowledge and skill. Traditionally this knowledge is passed on from one generation to another, and this starts with the older hunter telling of past experiences to the younger hunter and then the younger hunter will build on this knowledge and pass it on. However, in modern times the passing of this knowledge doesn't always happen and I have found that optics are the best tools for a modern person to acquire this kind of knowledge. Anybody who has used these modern tools of awareness to their potential knows that they will give you the experience and knowledge that you can gain no other way. This knowledge will give you the power to walk in the persona of your choice. No discussion of presence and awareness would be complete without us understanding that our presence in the environment is a physical presence, while awareness belongs to consciousness. Here we find that the hunter and the hunted must orchestrate both of these realities. Both trying to have the smallest possible physical presence in the environment and the largest and most comprehensive awareness These and many other ideas and concepts our hunter-gatherer ancestors pondered around the campfires that illuminated their presence and enlightened their awareness and I suspect their descendants we will do so till the last campfire is out. When it comes to work one boy is worth half a man and two boys no man at all.